Where do you stay in mammoth? What are some things to do and see? Welcome to Mammoth Mountain, California’s highest four-season resort and playground with a summit at 11,053 feet above sea level. With 300 days of sunshine annually, the Eastern Sierra offers infinite recreation and scenic beauty all year long, including skiing and snowboarding in the winter, and mountain biking and golf in the summer. Our legendary snowfall provides a perfect winter playground, enabling Mammoth to truly claim the title of Southern California’s mountain home. 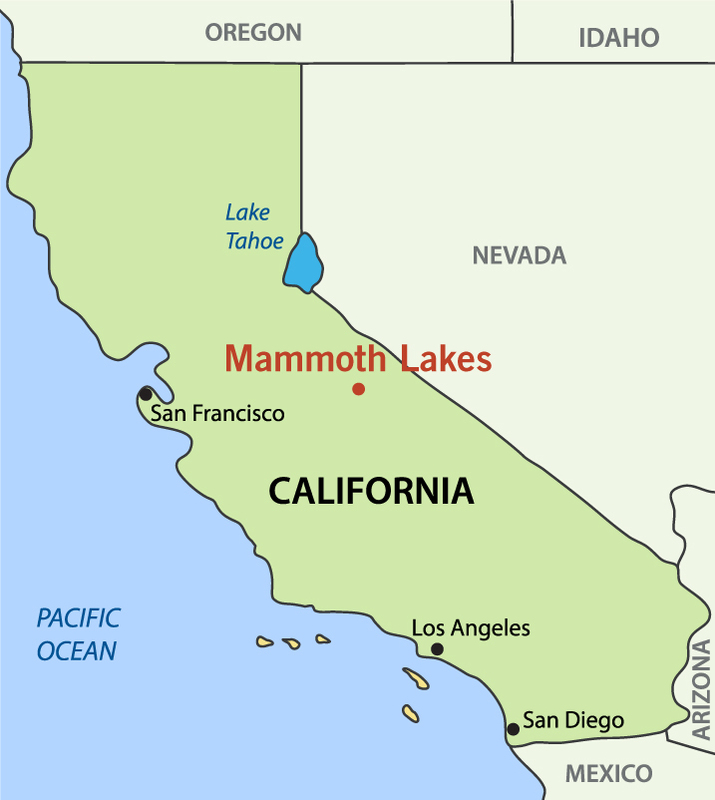 Mammoth Mountain is located in Mammoth Lakes, CA 93546 along the 395 corridor in the Eastern Sierra of California. Drive time is approximately 5 hours north of Los Angeles and 3 hours south of Reno, Nevada. During summer months (May - October) Tioga Pass through Yosemite National Park is open. Drive time from the Bay Area through Yosemite is approximately 6 hours. Whether you’re after affordability, convenience, luxury or a little bit of each, the Mammoth Lodging Collection offers the widest selection of rooms, cabins, and condos in town. For over half a century, Mammoth’s classic slopeside hotel has provided stunning mountain views and ski-in, ski-out convenience to families and powder hounds alike. Located in the heart of The Village just steps away from the best shopping, dining, and entertainment in town, The Village Lodge is Mammoth’s most popular all-access hotel. Nestled at the base of Mammoth Mountain, Juniper Springs Resort also offers convenient ski-in, ski-out access to the slopes, ski school, and all the amenities of the Eagle base lodge. With world-class cross country skiing and snowshoeing right outside your door, Tamarack Lodge provides the perfect mix of rustic charm and convenience. This full-service luxury hotel is just steps away from the Village Gondola offering quick access to the ski slopes Mid-December through mid-April, as well as in close proximity to The Village’s many restaurants, shops and nightlife options. After a day of adventures in the High Sierra, sit down to fine dining at the Whitebark Restaurant & Lounge or enjoy your meals fireside in the privacy of your suite. Family-friendly experiences are the backbone of Mammoth Mountain. 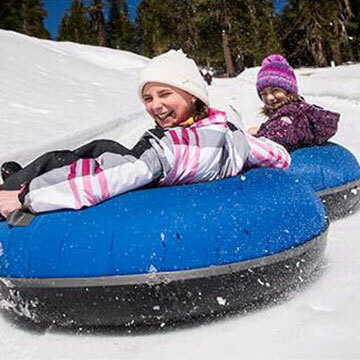 From childcare and kids lessons to family fun at Woolly’s Tube Park and kid-friendly menus. You'll find a number of transit options to get you up to the mountain or around town, including free mountain shuttle service to each base lodge, the Village Gondola, town taxi service as well as a free airport shuttle for registered guests of all Mammoth Lodging Collection properties. Each of Mammoth's base areas (Main Lodge, Canyon Lodge, Eagle Lodge, The Mill, and The Village) offer free or preferred (paid) parking. Guests wishing to access The Mill or Main Lodge may need to park along Minaret Road during peak times, from which a free parking shuttle bus will pick-up and drop-off at select stops. Check out the maps and parking information to find your best transportation option. 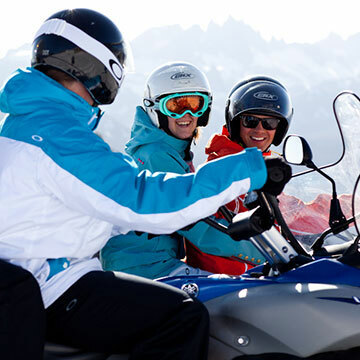 Whether it’s your first day on the hill or you’re a seasoned rider who wants to demo the latest model before buying, our gear experts and MasterFit certified bootfitters will hook you up with everything you need. No matter what location you rent from, you can stop in any of our rental/demo shops for quick slopeside adjustments or to swap out your set up. You can also store your skis/board overnight free and return your equipment wherever is most convenient for you. Online reservations are available up to 2 days prior. Call 800.MAMMOTH for next-day rentals, or drop by any rental location for service on the spot. There’s nothing more fun than ripping down a run with style to spare. Whether it's your family's first day on the slopes or you're looking to take your skills to new heights, you’ll be turning heads before you know it with lessons from our top-notch ski and snowboard instructors – some of the best in the nation. Lessons also serve as a great social gathering as you explore the mountain with other students of your same pace and ability.